Blowing up Thailand! 2PM Concert. 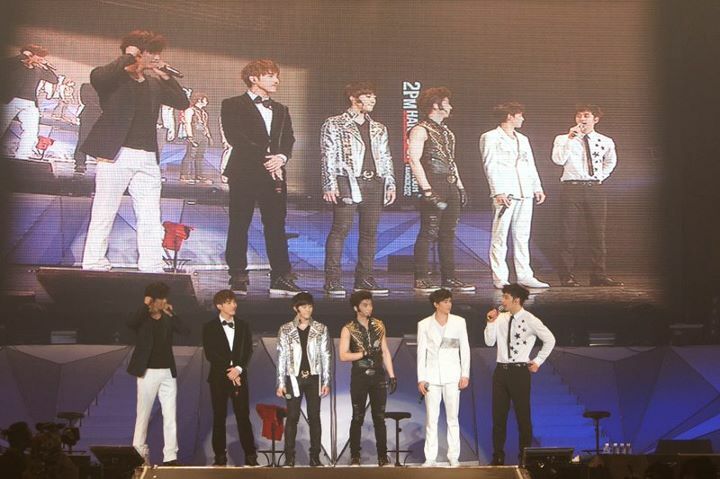 2PM’s first Thailand Concert that Thailand was so into. - Thailand fans presented the surprise video clip in appreciation of 2PM’s donation for the flood. - Nichkhun’s present, a Thai song for Thai fans. 2PM, attracting whole Asia with the first Tour Concert that sells out more than 52,000 tickets, has captured Thailand with the concert that was hotter than the sun. 2PM has landed in Thailand last 16th of February for the first Thailand Concert. On 17th of February, 2PM has delivered their greetings of appreciation to local fans and press in the middle of warm welcome that came from 3,000 fans and local press reporters who visited Siam Center hall. The continued HI-TOUCH Event was done in between 500 fans who won over enormous competition and 2PM members. 2PM members have spent the enjoyable time with those fans who cheered for them despite the blazing sun during the time of the Event. With the love the fans sent during the event, 2PM has had the most memorable time, forgetting about the steaming hot weather. On the same day during the press conference at Impact Arena, a fine moment took place where the plaque of appreciation has been delivered from Red Cross to 2PM who has donated the partial revenue from the Concert. 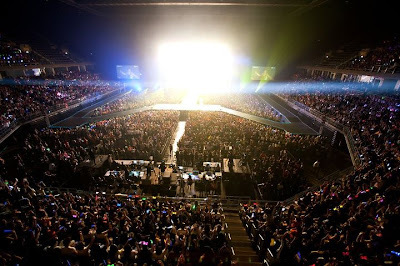 On the next day, the 18th of February, 2PM Concert at Impact Arena, the biggest indoor performance stadium, got crowded with numerous reporters and fans even before the concert. Even after the sold-out, the audience kept on sending enquiries to get the tickets. Over the 2 hours of the Concert, the Impact Arena was filled with 9,000 fans filled with wild excitement, and 2PM, touched by the love of the fans, gave out their best performance ever, presenting the most amazing time to them. Especially for the Thai fans, Nichkhun has sung the song of Thai artist ‘Bird’ in surprise which touched the fans’ hearts. The fans have produced the special video clip for 2PM and Nichkhun in appreciation of their donation for the Thai flood which teared the 2PM members. On the other hand, 2PM is now facing to go to China for concert in continuance of Asia Tour Concert until March. Singer Jay Park revealed a uniquely haunting image of himself. On February 22nd, Jay Park updated his Twitter, "Skeleton Face Painting," and attached the photo above. 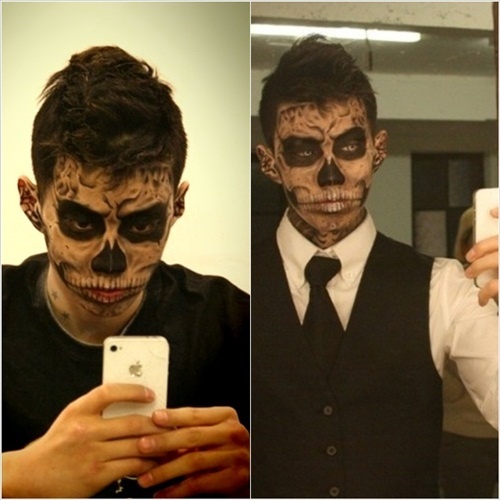 The photo shows the singer taking selca while wearing skeleton face paint. 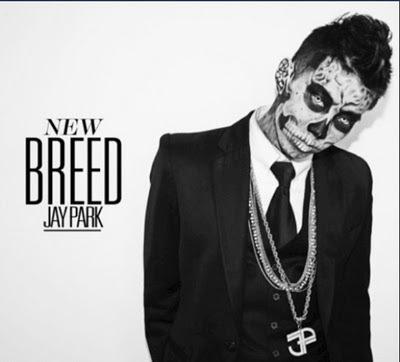 The skeleton concept is for his album jacket to "New Breed Part 2," which was released on February 7th. Netizens who have seen the photo commented, "He must have been bored during the photoshoot", "It is a bit creepy" and "Wow! I thought it was photoshoped." Jay Park's "The Jay Effect" showed through as his first solo concert get's sold out in just 10 minutes after ticket sales started. On the 3rd of March, his first solo concert will be held in the Seoul Olympic Park Olympic Hall called "Jay Park New Breed Live in Seoul" and reservation tickets were immediately sold out in just 10 minutes. Organizer YES24 said on the 20th that they opened advanced booking online for the concert and immediately their server froze because of the flood of requests from fans. The tickets were immediately sold out and more requests from fans are flooding in as they were not able to get tickets. 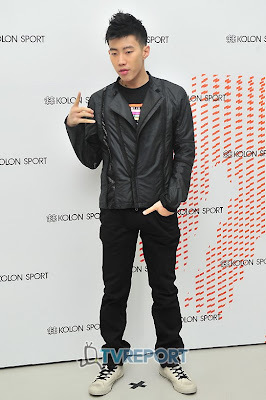 Jay Park said, "Thank you so much for the attention and love from my fans. I will work hard to not disappoint you on the concert, and im preparing very hard for my first solo concert and give special performances that will make it a long and memorable". Also, for the initial planning of the concert, Jay Park is going to have a surprise guest which is becoming a hot topic among fans. Netizens commented, "That is the real Jay Effect", "Jay Park is becoming a famous trend now", "Im really sad I wasn't able to get a ticket", "Please have more concerts in the future". 2PM's Nichkhun and fellow members left criticizing tweets toward Block B's controversial interview. During an interview for Thai online media RYT9’s ‘New Artist- Block B in Thailand’, Block B made an inappropriate comment about a flood in Thailand. In the video clip, Block B said, “Hope the monetary compensation helps to heal your hearts. We got nothing but money. About 7,000 KRW (a little less than $7)?”, with their easy-going attitude. Such statements and actions have been criticized as insensitive creating a buzz online. Singer Jay Park will be kicking off his first solo concert next month. On February 16th, his agency Sidus HQ has announced that the soloist will be holding his first solo concert ‘Jay Park – New Breed Live In Seoul‘ in the Olympic Park in Seoul on March 3. The concert will mark his recent return with his latest album, "New Breed". With his first-ever solo concert, Jay enthusiastically took part in organizing and planning each detail to this concert. "Ever since we finalized the schedule for the concert, Jay has been preparing different events and perfecting his performances for the show," a representative of Sidus explained. Jay Park had released his first full-length album ‘New Breed‘ on February 7th which has swept the charts in Korea, and topped the R&B Soul Chart on US iTunes. The album hit #3 on iTunes Australia, and #5 on iTunes Japan as well. 2pm was recently in Paris to participate on the KBS "Music Bank in Paris" world tour concert, and during their stay in Paris, the members of 2pm took their time to do some sight seeing. On the 11th of February, Wooyoung updated his twitter saying, "At Paris Metro" and shared a photo of him and Taecyeon riding the subway train in Paris. Taecyeon and Wooyoung looked cool and comfortable wearing thick jackets and beanie to keep them warm from the cold weather in Paris. Also, Wooyoung and Taecyeon looked like they have caught the interest of the public with their charms and model appearance.